At the close of 2013, the number of mobile phones surpassed the population of the entire world. Additionally, more than 50% of global web users now use mobile devices as their primary means of going online. If there was any doubt that mobile is is the future of technology, this past year’s growth has wiped it out. While the dominance of mobile may not come as a surprise, the rate of its growth has left many companies scrambling to catch up. 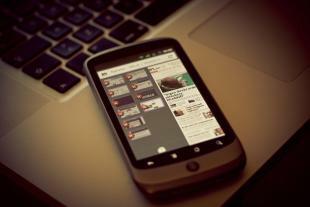 Demand for mobile applications has skyrocketed, along with the cost to develop those apps. Fortunately, this same growth has also lowered the barriers to entry for developing mobile apps, allowing individuals to build applications on their own with minimal ramp-up time. If you’re planning to build a mobile application this year, but don’t have programming skills, we’ve laid out the pros and cons of the options available to get you started. It used to be you had to build websites by hand. As they became more crucial for marketing, template tools like WordPress and Joomla were developed to make it easier for non-developers to build their sites. Similarly, mobile template tools have come onto the market to allow those of us without programming skills to build mobile applications. No coding required; simple drag-and-drop interfaces are commonly used. Multiple people can work on a single project. Have to build a new application or hire a developer to handle mobile software updates. Restricted to simple apps; can’t build more complicated programs such as games. For those that live by the adage, “If you want something done right, do it yourself!”, there are many options available to teach yourself to program. The important first step here is determine which operating system you want to develop for—iOS or Android. iOS applications are primarily based on Objective C programming, whereas Android apps use Java. Fortunately, knowing one can make learning the other a bit easier, so you could transition between the two later on. Cost-effective, since knowledge gained can be applied to multiple projects. Can respond more quickly to app updates or bugs. Possess an in-demand skill that can produce extra income. Longer timeframe for project completion. Ask to see their work. Check out their website, previous projects or GitHub repository to get an idea of the quality of their code. How do you use your phone? Mobile development is very different from web development and you want a developer who understand how people interact with a phone, as well as has an intimate knowledge of the phone they’re developing for. Describe your typical testing plan. Do you have experience with web-based APIs? If the design of your app is important, ask about their experience working with designers or, if possible, have the designer in the room. There are many options for joining the mobile movement without having a programming background, each with its own costs and benefits. Determining how many applications you intend to make, what operating software will be your focus, as well as your timeframe and budget, can help you determine which option will work best for you. This post is the sixth in our “Learn a New Skill in 2014” series. Stay tuned to our blog or sign-up to receive a weekly digest of the posts. Digest emails will be sent out each Friday.